Personalized Balloons for any Occasion! 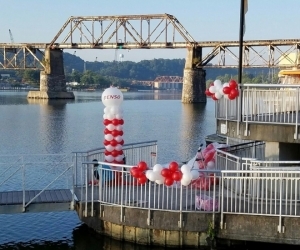 We are proud to offer our clients personalized balloons for any occasion! 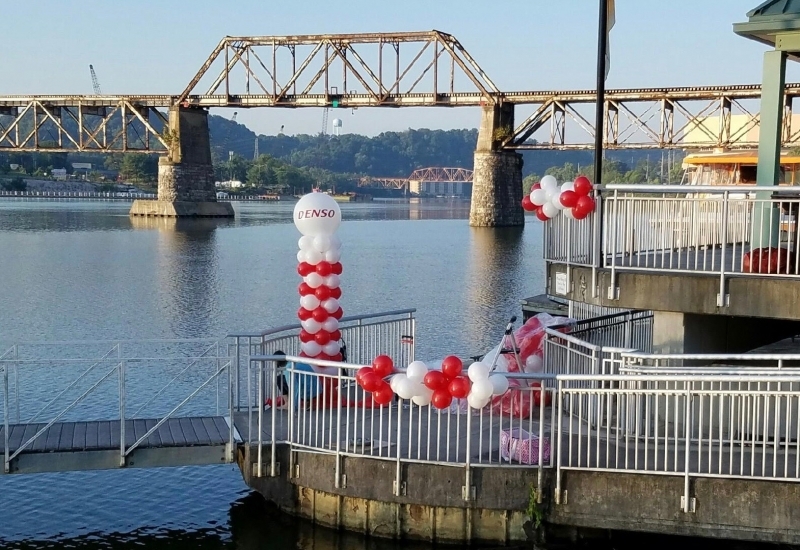 You may only want one special giant red balloon with the words, “Will you marry me?” Or maybe the often long awaited message, “You’re going to be a grandmother!” Plan your special moment with these fun, attractive and unique balloons! These unique, personalized balloons make amazing accents at any event and especially at weddings. They’ll also serve as a fun and one of a kind take-aways! 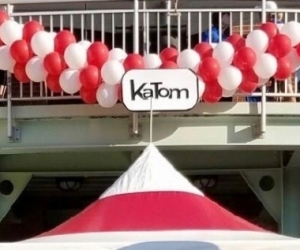 Helium-filled balloons will last weeks, sometimes months! Memories of your wedding will be around long after all the cake is gone! Consider personalized balloons for birthdays, anniversaries, Valentine’s Day, Mother’s Day or just to simply show someone how special they are to you! Flowers fade and die but these balloons can stay attractive weeks to months! 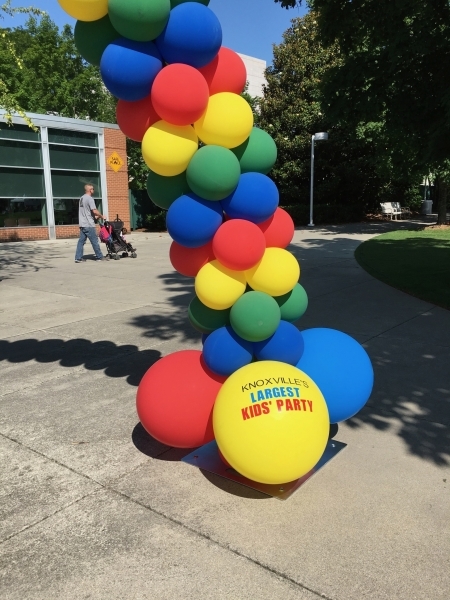 Personalized balloons are also ideal for companies wanting their unique logo or special message displayed. Use at company picnics, special events, trade shows, etc. By choosing large, attractive foil, plastic or latex balloons you will be sure your company will stand out over everyone! 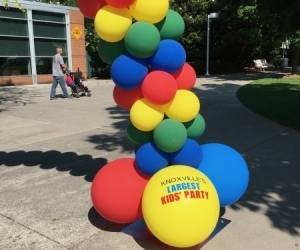 Have us fill your customized extra-large, three-foot diameter balloon with almost 100 smaller balloons (or flashy confetti), creating popular “exploding balloons“! 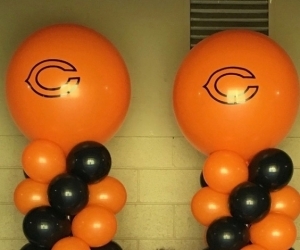 We can personalize latex balloons, Deco-Bubbles, foil balloons both in standard round or shaped. 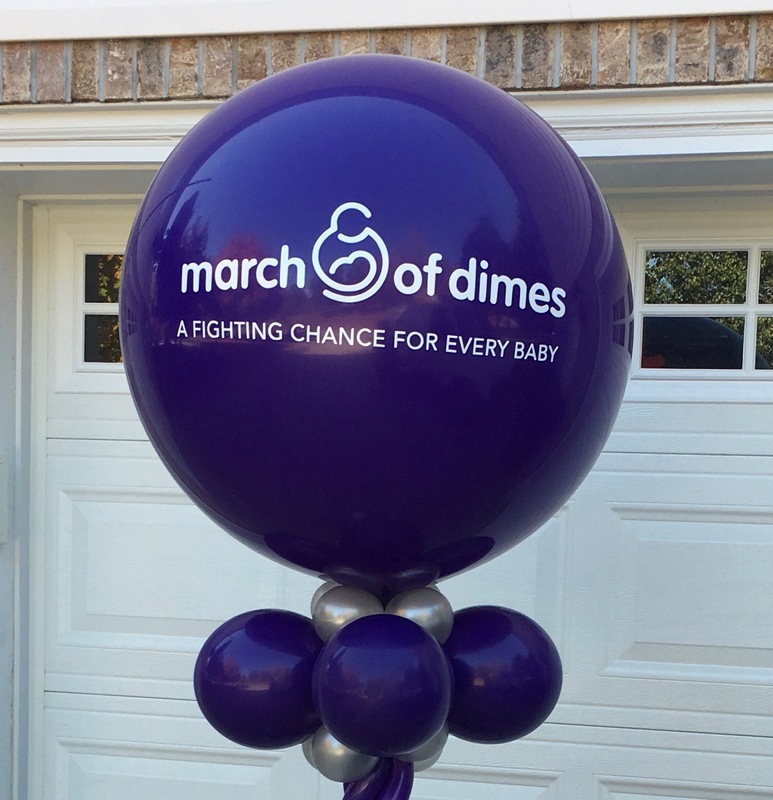 You can pick up your unique balloons from our studio or we can deliver as many as necessary. 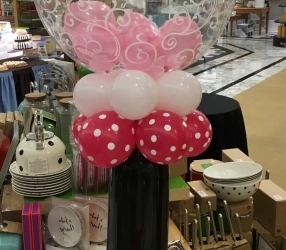 Consider a giant, personalized balloon as part of a creative, unique balloon bouquet. Using our service van we can deliver large quantities for any event. This being said, whether you require a single, personalized balloons or fifty, you can count on us to provide what you need. Personalized Balloons Affordable for all Budgets! 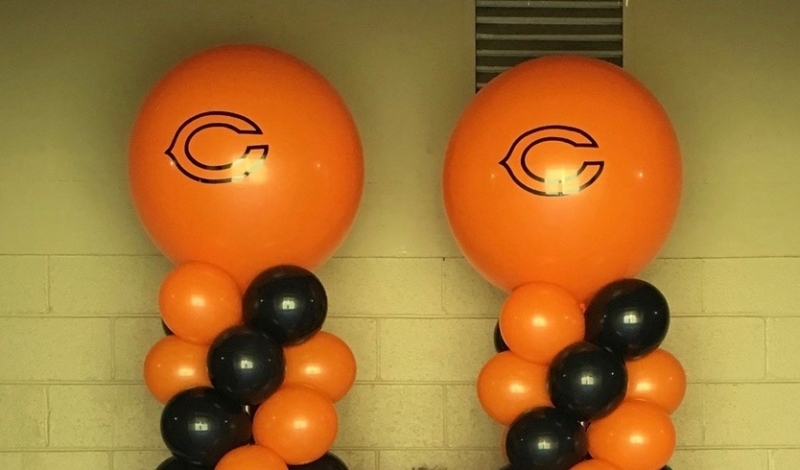 For the low cost of $25 for set-up/artwork per design + $15 per application (per balloon), plus the cost of the balloon, you’ll be able to display a totally customized balloon!In conclusion, our personalized balloons are very affordable. more information, contact us directly! As you can see, in conclusion, our personalized balloons are very affordable. How exciting to offer this unique option to our clients!